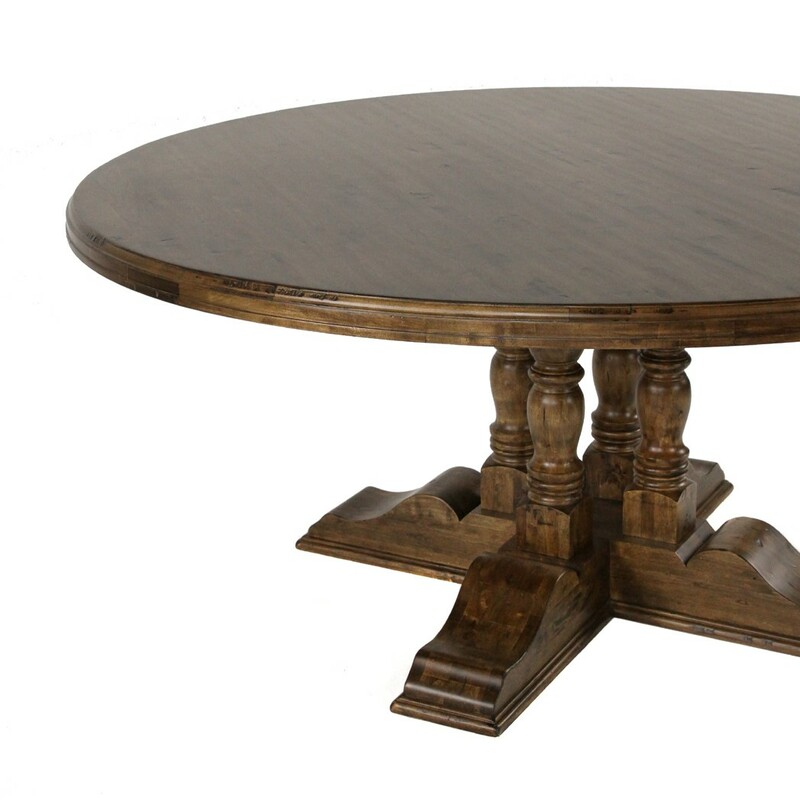 The 70" Tuscan style dining table makes the perfect centerpiece to all of your family and social gatherings. Finished with durable furniture sealers to protect the wood. Each tuscan dining room table features nail head detailing and is uniquely finished to accentuate the wood and give it a very natural but elegant look. This table reflects European Old World style! FREE Delivery is White Glove Delivery which includes assembly of table and removal of debris. *Pair it with the the following chairs in the same Earth Finish. Castillian Gray Dining Table 98"